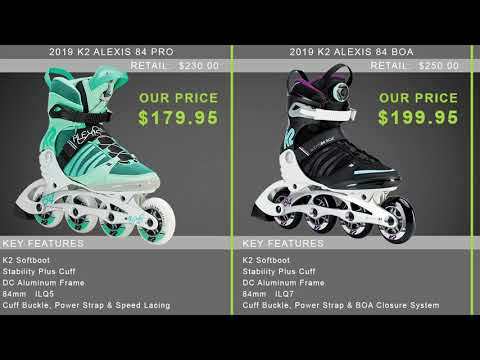 The K2 Alexis 80 Boa Women's Inline Skates are a great first pair for fitness skating or the intermediate skater looking for an inexpensive skate. The Alexis 80 mixes K2's patented Softboot technology with a stability cuff, offering a comfortable fit with the proper amount of support. Inside the Softboot is an antimicrobial footbed boasting arch support which will offer great support work as a foundation to prevent foot pain when skating. The Boa Closure system on the Alexis 80 Inline Skates allows you to get a secure fit quick and easy for added comfort and performance. ABEC 5 bearings fit into the 80mm wheels, giving a smooth roll that will take on chattery pavement with ease but won't be too much to handle for less experienced skaters. 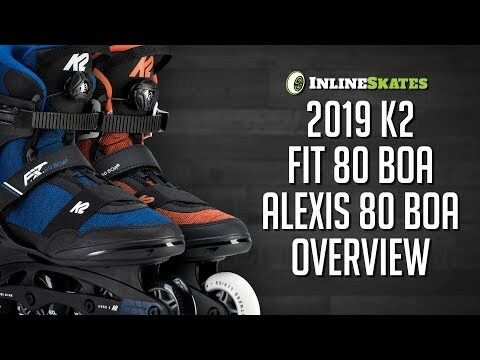 Your inline skating career doesn't have to start with the K2 Alexis 80 Boa Women's Inline Skates, but it definitely would be a great place to start.